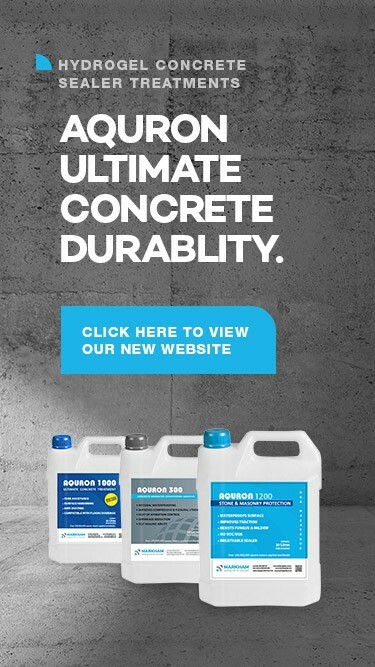 AQURON 2000 is a spray applied, non-toxic colloidal silicate with a unique reactive catalyst and deep penetrating action that forms a internal concrete protection to stop spills and bio-fluids penetrating into concrete. AQURON 2000 has been proven performer in resthomes and aged care facilities throughout Australasia. Stopping spills and bio-fluids penetrating into concrete reduces odour retention, and creates a cleaner, healthier and occupant friendly environment. AQURON 2000 offer a permanent protection inside the concrete, and does not require to be re-applied when floorcoverings are replaced.